What are the ingredients in KardiaXyme? KardiaXyme contains a proprietary blend of researched nutrients that work synergistically to deliver real results. 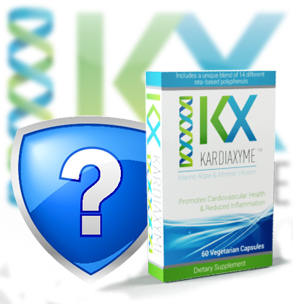 To view the KardiaXyme "Supplement Facts" panel CLICK HERE. YES. Like all our products, KardiaXyme comes with a 30-day, 100% money-back guarantee (less S & H). Are there any negative side effects when taking KardiaXyme? There are no known negative side effects. Moreover, many people report experiencing positive effects in more than one area of their health. 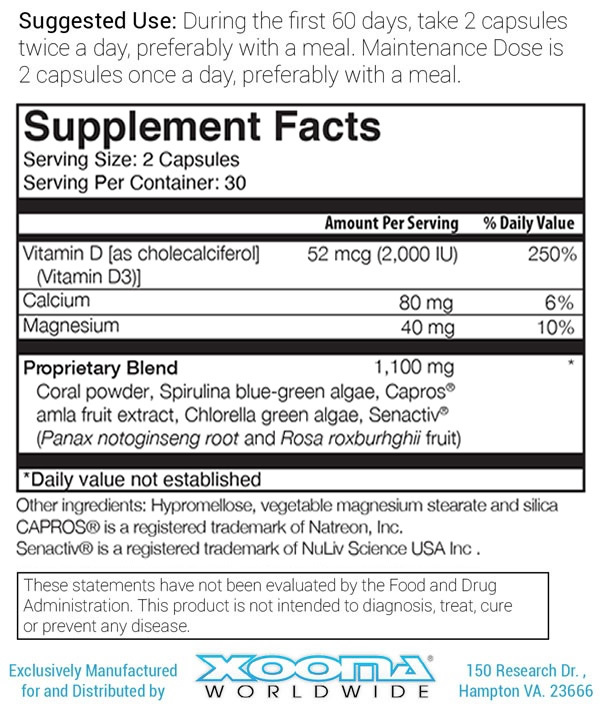 Can I get better results using more than 4 capsules per day? Results obtained from the clinical research done on the ingredients in KardiaXyme indicate that 4 capsules will certainly provide the therapeutic dosage level utilized in human studies. Based on the research, there is no evidence to suggest that using more than 4 capsules per day will offer increased benefits in less time. Once I achieve the results I want, can I use a smaller daily dosage to maintain those results? Depending on your personal situation, it may be possible to maintain your results using a lesser amount each day. The only way to truly know would be to test a smaller "maintenance dose" of 2 capsules per day and then monitor your personal health to determine how much of your initial results are retained. However, for best results, we do recommend using the therapeutic dosage of 4 capsules per day for the first 60 days. I see the X2O mineral complex is part of the KardiaXyme formula. Do you still recommend using the X2O sachets in water in addition to KardiaXyme? Yes. The X2O mineral powder in KardiaXyme is an important part of our exclusive formula for overall product performance when combined with the other ingredients. However, it does not "replace" the benefits offered by the X2O sachets. Keep in mind that the benefits that X2O offer - proper hydration, water-based trace minerals and pH balance support - increase homeostasis in the body which helps you get maximum performance out of the dietary supplements you're already taking.